Do you love sports? Do you have an interest in writing? If you can say “yes” to those questions, then joining our Upstate Courier Sports Team may be just right for you! Our local team of top-flight talent in our sports department is not only dedicated, but they all have a deep appreciation for the Capital Region, just like the majority of our readers.  If you join our team at Upstate Courier Sports, you will have the chance to sit side-by-side with professional members of the sports media and cover the area’s top teams. Our primary coverage area is the entire Capital Region, but we are always looking for new writers! Some of our available beats include the Adirondack Thunder, both Union and RPI ice hockey, nationally-ranked UAlbany lacrosse and the St. Rose basketball team. When in season, we also cover the Tri-City ValleyCats, the UAlbany football team, the Albany Empire and the Perfect Game Collegiate Baseball League. Additionally, even though our beats for Siena and UAlbany basketball are currently full, there are chances to serve as a fill-in at games, as well as the opportunity to be a part of our in-depth coverage of the MAAC Tournament each March. Finally, high school sports are a big part of our site, so if you’d prefer, you can cover your own school’s teams and have the chance to cover other schools during the regular season and during sectionals, all the way from Class AA to Class D.
If any of this interests you, just fill out this quick form! Having technical difficulties or need answers to questions? Contact Managing Henry Golden at Editor@UpstateCourier.com.